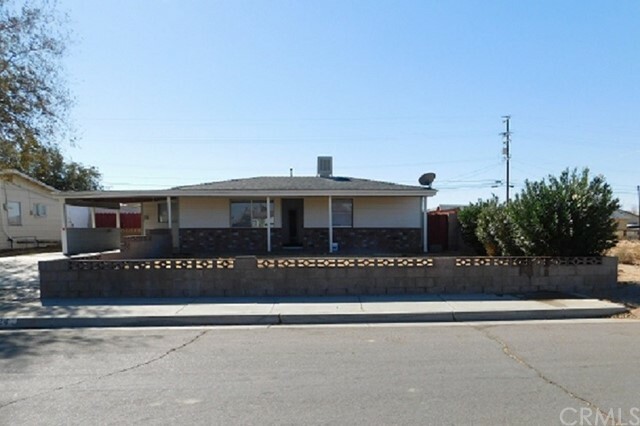 Great Starter home for First time home buyers & Military family for under $100k. This house can qualify for USDA Financing which means, you can possibly qualify for 100% financing to purchase. House has been in the family for years and now waiting for a new family to take over the tradition of being a homeowner. Close to Edwards Air Force Base and Boron High School. 2 bedroom/ 1bath Large Kitchen, Large Yard-subdivided. Needs a little TLC.